different directions. This is a sign the idea is important. style, isolation, and unidirectional flow of data. structure of returned data is controlled by the client. 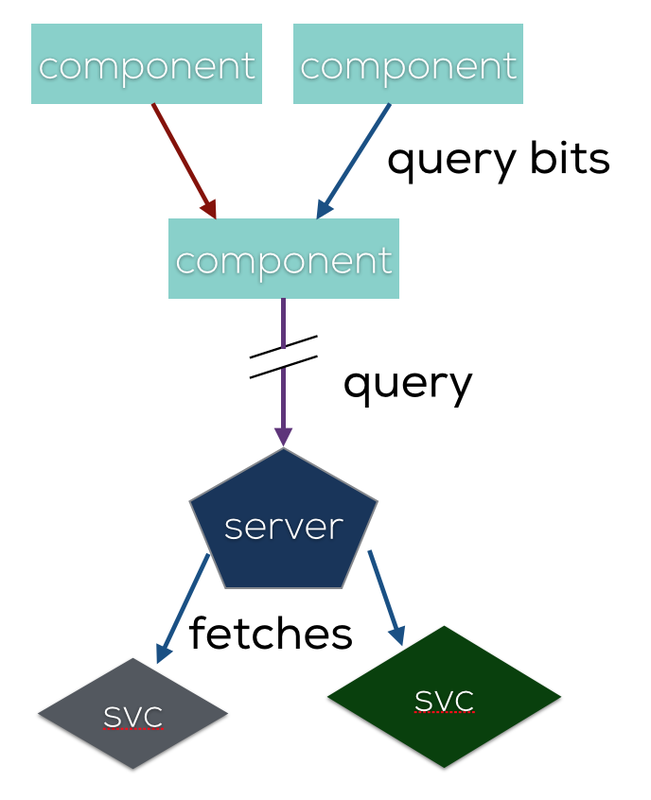 The query is built as a composition of the queries from all the components. It goes to the server. The query server spreads out into as many other calls as needed to retrieve exactly the data requested. composition in the client and modularity on the server. 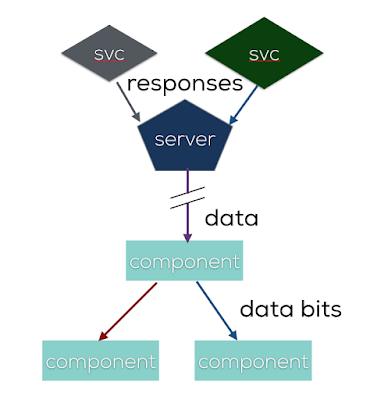 The server takes responses from whatever other services it had to call, assembles that into the data structure specified in the query, and returns that to the client. The client disseminates the data through the component tree. This happens to minimize network traffic between the client and server. for each part. Assembly sold separately.